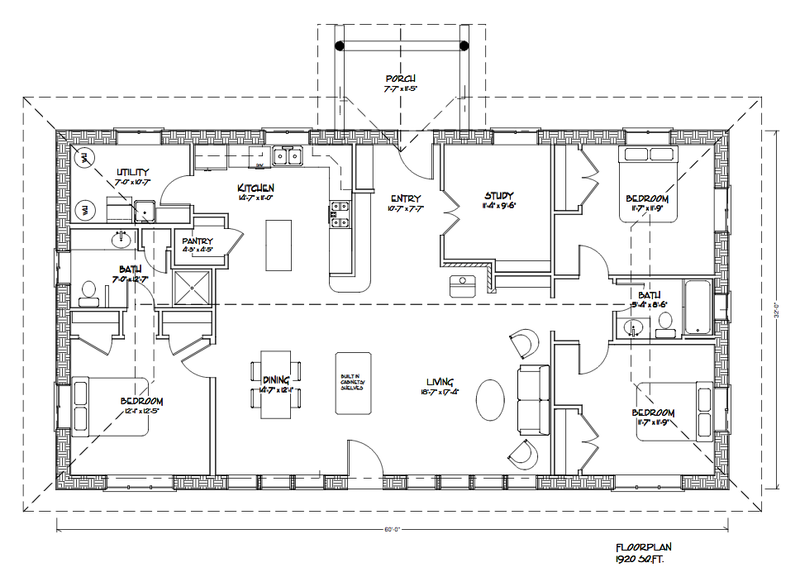 Within this easy to build rectangular footprint there are 3 spacious bedrooms plus an office and a large living area. It will be no problem to heat this 1920 sf home with all it’s south glazing. 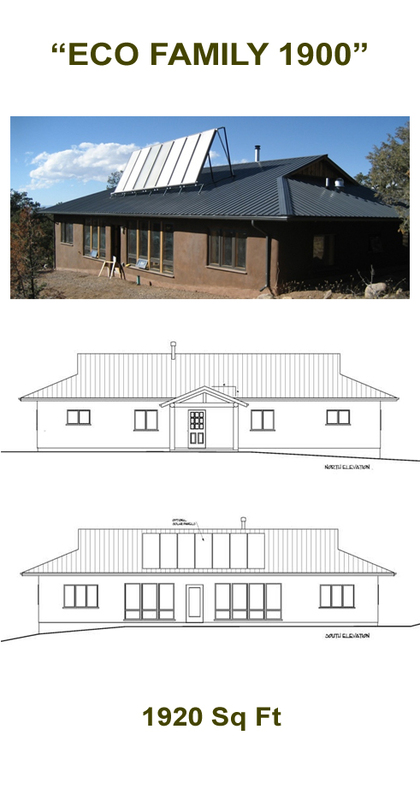 Add solar hot water panels to the roof to preheat water for the radiant floor and you can enjoy very low heating bills! This plan will work well for a family of just about any size.